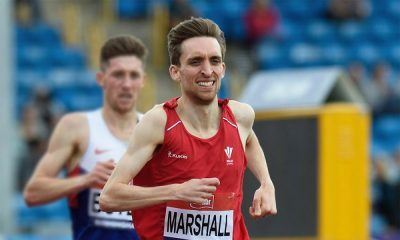 In his second ‘class of 2018’ post, Tom Marshall reflects on the past seven day – starting with a record-breaking performance at the Welsh Indoors – followed by a trip to Belgium to chase the 1500m World Indoor qualifying time. I was very unsure what to write about this month for numerous reasons. I contemplated detailing my experiences of working full time and fitting training / racing around that. However, after reading insightful articles by Anna Boniface and Aaron Scott and considering that their mileage is two to three times that of mine, I felt a bit of a fraud even thinking about it. I then began writing about enjoying yourself outside of athletics, but realised that my first paragraph included enjoying seven foods and drinks that most nutritionists would be incredibly disappointed in me for consuming. I figured that this might not pass the editors at Fast Running. Fortunately for me (and very unfortunately at the same time), I developed a stomach bug of sorts this past week, which has left me in quite a lot of discomfort. It has also become a world-class inconvenience to my training and lifestyle. The past weekend at the Ghent Indoor meeting happened to be my one shot this season at the World Indoor qualifying standard. I figure you can probably see where this is going? 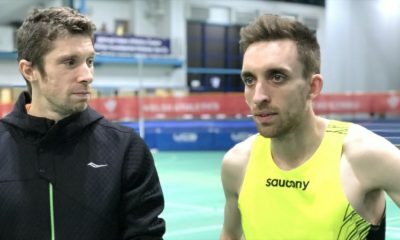 A week of losing valuable body fluid, vitamins, minerals, and energy was less than perfect preparation before attempting to get the World Indoor qualifying time. I managed to run a 2:21 for 1000m the previous weekend at the Welsh Indoor Champs. This put me in good stead for a quick 1500m, but I soon realised just a few metres into the race, that the illness had taken more out of me than I convinced myself that it had. Going through in 2.31 felt hard work and a bit of a slog. So a poor race, a bad performance for me, no qualifying time for the Worlds, and a very long journey back from Belgium to reflect. However, after 10 years of racing with many disappointments, reflect I did not. I have learned over the years that dwelling on bad days is not healthy for your mental state, nor is it good preparation for the next race/ block of training. Even on those days where things are in your control, and you’ve genuinely had a bad run for an unknown reason, you cannot dwell on the performance for too long. Sit back, take 10 minutes to chat to your coach, your training partner, or whoever, put it down to a bad day (or bad health in my case), and get back to the work, believing in what you’re doing. Those days when you have a bad run, become so much worse over the following weeks if you dwell instead of taking the positives out of the situation (whatever they may be). Spending hours pondering where it went wrong can lead you to the biggest danger of all, questioning everything that you’ve been doing. So my advice – learn from it, and then try to forget it, concentrating on what is ahead, rather than what is behind. I couldn’t control his week’s illness, so I’ll concentrate on getting healthy, and going again. Training has been going very well recently – touch wood! The sessions have been quick, and the mileage has been decent. Breaking the Welsh Indoor 1km record was a huge plus, and weights have also picked up since tearing some ligaments in my lower arm 10 weeks ago. I’m taking a couple of days this week to recover from whatever this illness is. I will then have a few runs with one quicker session before the British Championships in Birmingham this weekend, where I’ll race in the 1500m. My training so far this month has been very similar to January, but here is a typical week, with the sessions that I did last week added in. 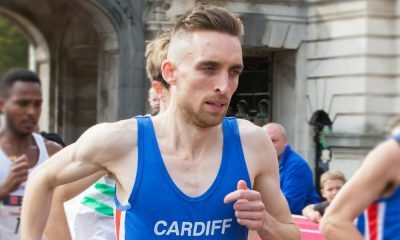 Tom Marshall is part of the ‘fast runners: class of 2018’ and during 2018 he will share his running journey every month. You can find out more about Tom here and further information on the ‘class of 2018’ can be found here.